"The views are great, staff very friendly, quiet and relaxing. food was good." 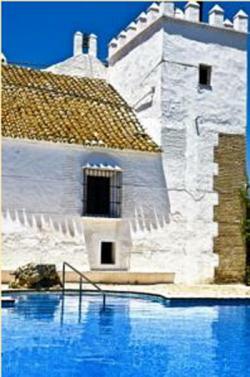 El Hotel Rural Cortijo Barranco is a lovely hotel in Arcos de la Frontera, Cadiz, declared an historical-architectural monument. 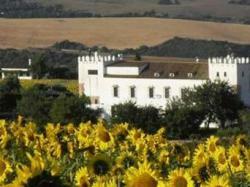 It is an old olive oil mill from 1754, reformed in 2009 and decorated in traditional style. The complex is composed of various living quarters, some semi-detached to the country house and other in the surrounding area that used to be housing for the farmers. 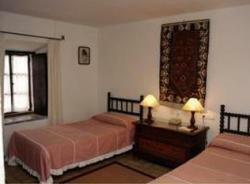 All are equipped with heating, hair dryer and air conditioning. Among its installations you have a common meeting room with tv, various games such as pool, chess and others. We also offer a “trust you” minifridge, a meeting room, bicycle, free WiFi and a shop where you can buy homegrown products like almonds, rosemary honey or orange marmelade. In the dining room you can sample the most traditional Mediterranean cuisine made fresh from the products of the local area and accompanied by a great variety of wines. We are 76 km from Cadiz city, 73 from Puerto de Santa María, 123 from Seville and 210 from the Doñana National Park. *If you arrive later than 19.00h, please contact the accommodation. *The hotel does not accept American Express as a payment method. Once the booking is made the hotel will charge the first night in advance. Refundable if cancelation is made with 10 days prior to day of arrival of the client. In case of cancellation between 9 and 7 days prior to day of arrival, the hotel will refund 90% of the first night fee charged. In case of cancellation between 6 and 2 days prior to day of arrival, the hotel will refund 50% of the first night fee charged. In case of cancellation with less than 2 days prior to day of arrival, the hotel won’t refund the first night fee charged. In order to amend a reservation, please contact directly to the hotel which details figure in the voucher. If your amendment reduces the number of nights or rooms the deposit will not be refunded and will not be discounted of the modified reservation fee. 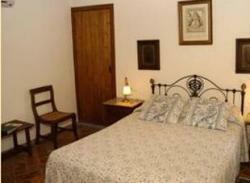 "windows in room didn't open and lumpy pillow"
"Staff are very friendly and helpful. Lovely surroundings. Would love to stay again." "Bottle of rosado (low quality) costs 24 Euro we noticed on that account (no menu with prices)." "The location is perfect! We stayed here for a second tome. 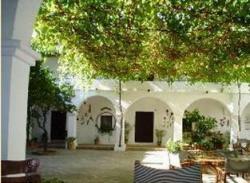 This time we have chosen a searate house - casa del Arroyo, very nice view from the terrace! Very quite and lovely place. At the central building they also have swimming pool and offer breakfasts and dinners. Breakfast is ok."